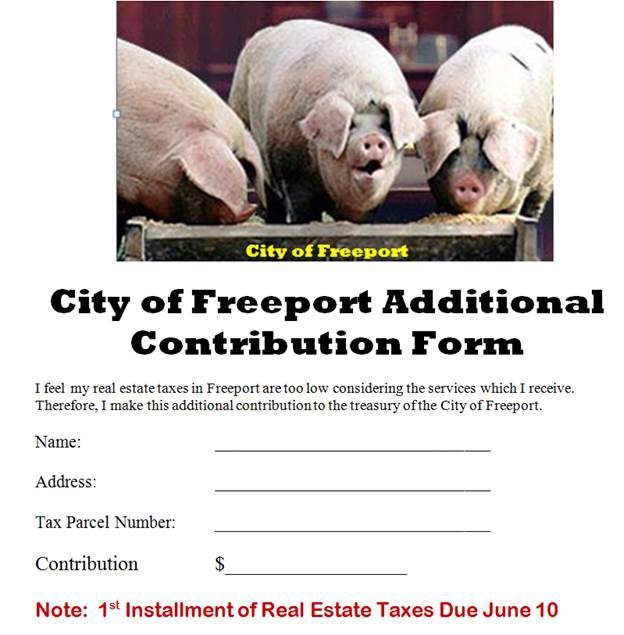 If You Think Freeport’s Real Estate Taxes Are Too Low – Contribute to the City of Freeport! Certain alderpersons on the present Freeport City Council have consistently supported more spending and higher taxes. This group is led by Tom Klemm, Sally Brashaw, and Mike Koester who have not seen a tax increase or higher spending that they did not feel was necessary. I for one agree with Alderman Chesney – WE ARE TAXED ENOUGH. For those who feel they are undertaxed, they are free to copy the above form and make an additional contribution to the City of Freeport. 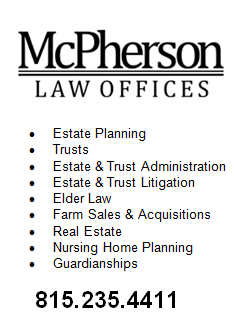 I hope everyone sends Klemm, Brashaw, and Koester a copy of the form. As the expression goes, put your money where your mouth is! This entry was posted in City of Freeport and tagged city of freeport, taxes on June 7, 2016 by Good Day Illinois.